The GVU Center’s Graduate Awards Program, recognizing top doctoral and master’s students at Georgia Tech in computing-centered research, includes 12 men and women who are leading groundbreaking work in space travel, wearable computing, robotics, online communities, and much more. Join us in celebrating these students' diverse approaches to and accomplishments in people-focused computing. The Foley Scholarships and GVU Distinguished Master’s Student Award are made possible through the James D. Foley GVU Center Endowment. Funds from the endowment support the GVU Center’s research activities and allow the center to advance key research priorities in computing for people. The endowment is made possible through the generous donations of alumni, faculty, staff and friends of the GVU Center. Mariam Asad’s work poses an important question: “What would digital tools look like if designed for the values and goals of social justice communities?” Instead of using the likes of Facebook, Asad’s digital advocacy toolkit accommodates different kinds of social relationships and advances the causes of Atlanta communities doing work on systemic social issues. Asad has extensively studied various movements in the city, including Occupy Our Homes Atlanta, which focuses on more equitable and sustainable housing and lending practices, and Rise Up Georgia, a racial and economic justice group committed to empowering communities to be more politically engaged. Clint Zeagler examines how to make wearable technology both usable and useful with a focus on social acceptance of new devices. 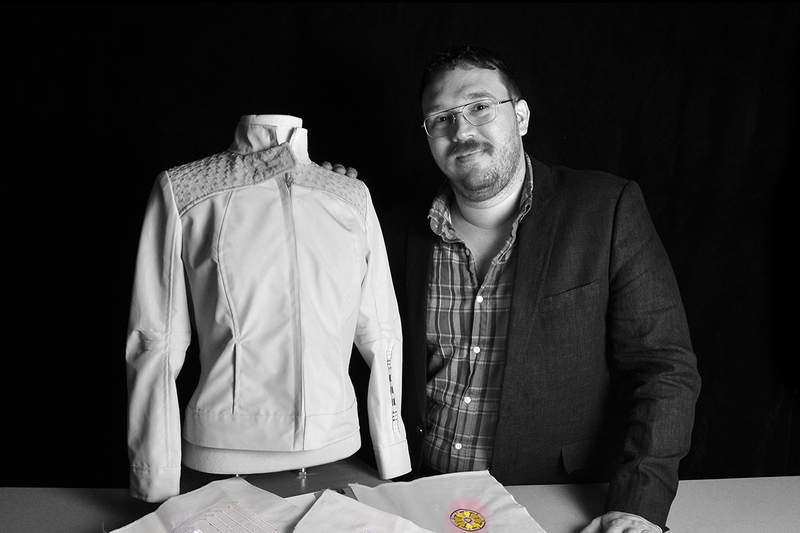 His work in textile-based on-body interfaces shows how well a person could interact with capacitive-sensitive embroidered interfaces without visual attention, advancing novel opportunities for future generations of on-body computers. Zeagler co-curates Georgia Tech’s Wearable Computing Exhibit, a selection of more than 60 devices chronicling the history of on-body technology. He has traveled with the exhibit to various locations in North America, Europe, and Asia, including the World Economic Forum. Maia Jacobs explores how cancer affects patients’ daily lives and computational tools to help better manage the chronic illness. 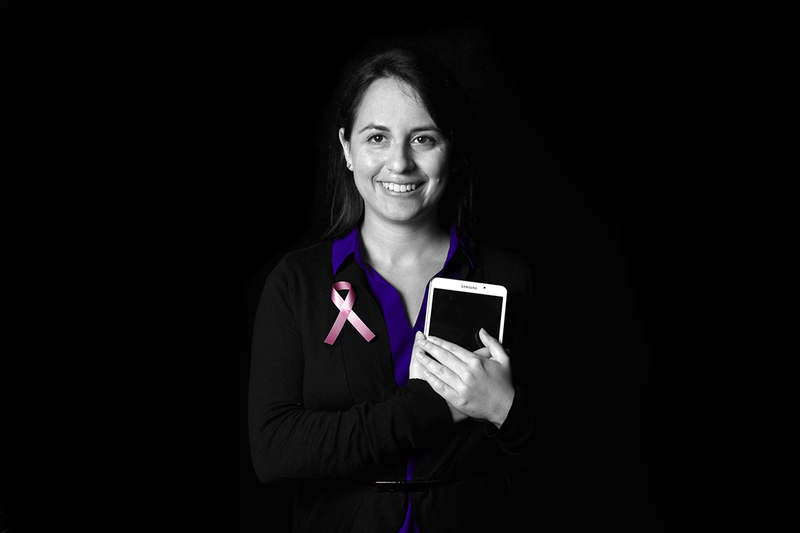 She is developing and testing MyPath, a mobile application that offers personal assistance to breast cancer patients and resources that are tailored to changing needs as patients progress through treatment. Jacobs says that battling cancer is a challenging and personal process that changes over time with numerous emotional, financial, and logistical challenges not typically addressed by the medical system. She is developing MyPath to offer personalized, adaptive support to patients and empower them to become active participants in their own health management. 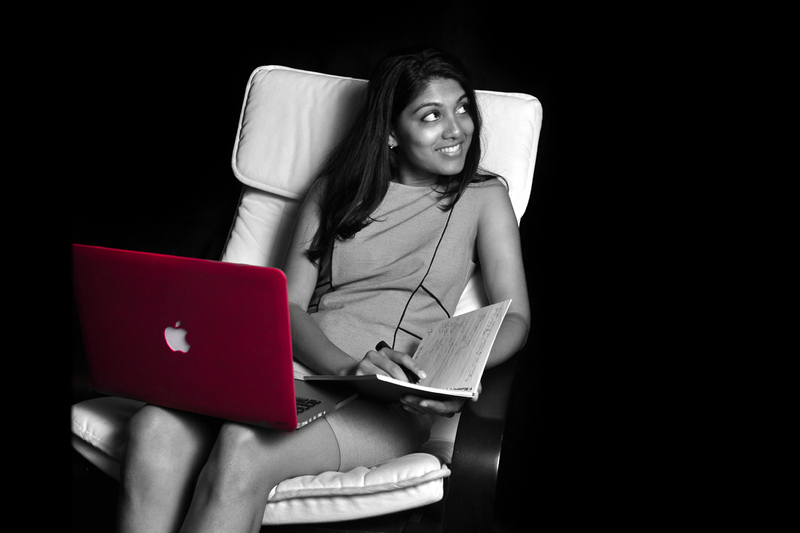 Samyukta Sherugar’s research focuses on Information and Communication Technologies and Development (ICTD). While overseas in Gujarat, India, her work involved helping an NGO design technology methods to increase the number of HIV people it could help. Sherugar explored the knowledge-sharing and technology practices of the outreach workers in the NGO in order to quickly prototype possible design solutions and improve on them through feedback. The experience in ethnographic research has made Sherugar a better researcher, she says, and also given her first-hand exposure to challenges and best practices in ICTD work. Tesca Fitzgerald, who entered her Ph.D. program at 16, is helping to shape a world where robots are able to work alongside humans and understand their needs. 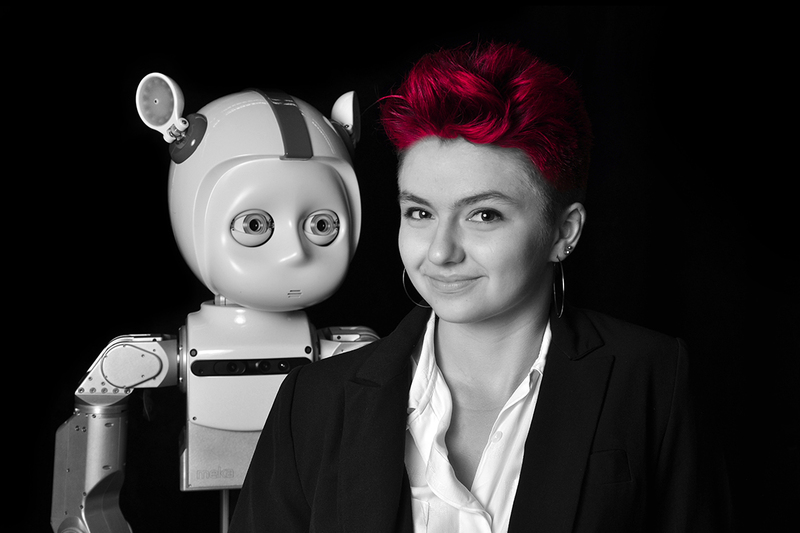 She does this through research in cognitive science and human-robot interaction by adapting methods for use in imitation learning. Through this technique, robots can store tasks as individual experiences in their memory and then recall the most relevant task when confronted with a new problem. Fitzgerald, pictured with the GT robot Curi, says that as robots become more ubiquitous, it is important that they collaborate with and learn from humans through daily interactions. 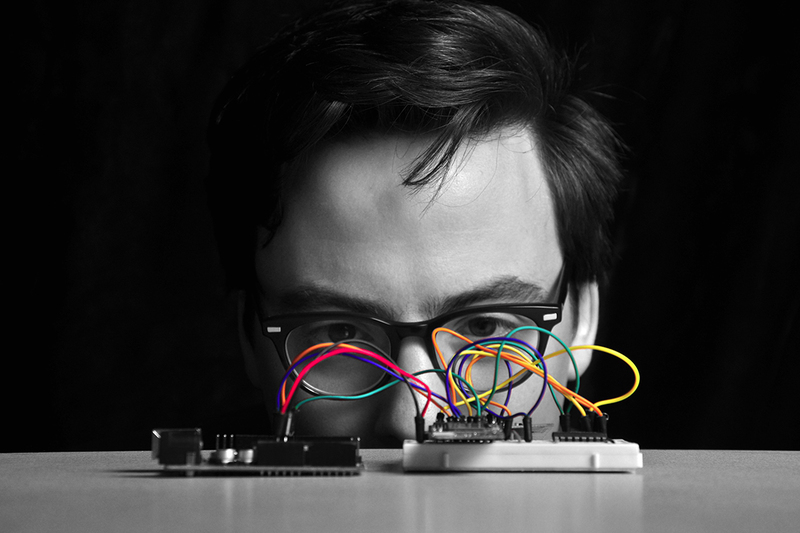 Tom Jenkins is designing devices for the Internet of Things (think smart coffee makers and refrigerators) for cohousing communities, which include some shared amenities and responsibilities among neighbors. Jenkins says that how the IoT plays out in unusual or non-standard domestic contexts lets him explore and examine assumptions that are being built in to technology standards and provides a vantage point for critical reflection. Cohousing communities offer a different way of thinking about civic life. Building connected technologies to support the strong values that exist there may help create stronger communities from the bottom-up across cities and countries. Almost 50 years after the first moon landing, putting a man on Mars is no longer just the realm of science fiction. Matthew Miller is part of a cadre of researchers figuring out just how it might be done, and his approach is in designing a system that astronauts can use in critical situations to make decisions during deep-space travel. 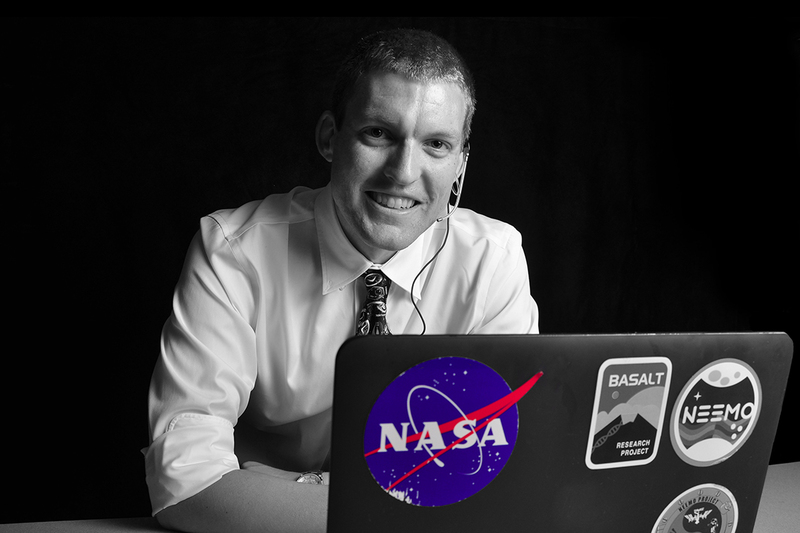 Through simulated spacewalk operations, Miller studies and models cognitive demands, allowing him to pioneer designs of next-generation operational support software. His design work for a decision-support system (DSS) allows astronauts to operate in environments where real-time communication is not possible. Sarthak Ghosh’s work on “Whoosh” tackles the problems of touch and speech input on smartwatches by allowing users to interact with the devices using non-speech acoustic cues. Whoosh supports interactions, such as shushing, blowing, or sharply inhaling, to accomplish simple tasks (like dismissing phone calls), making it useful for people with speech impairment or those with low hand-dexterity. 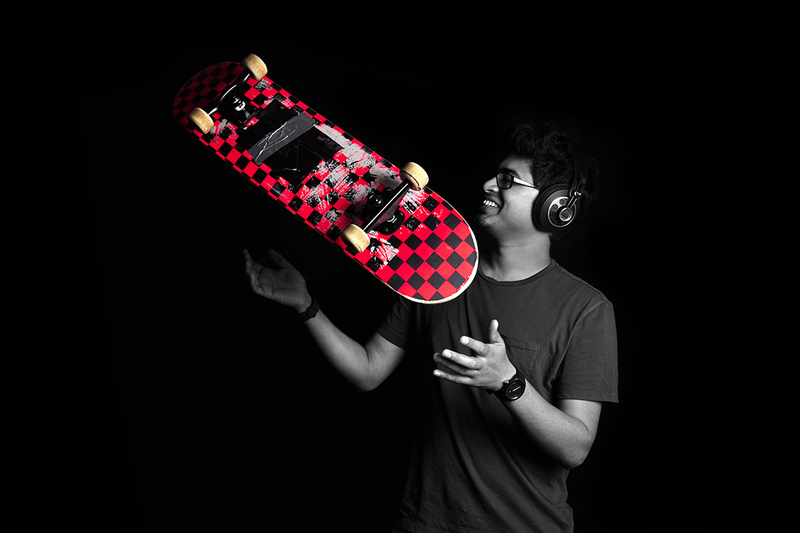 In his Musiskate project, Ghosh explored ways to encourage intermediate skateboarders to improve their skillsets. Skateboarders were rewarded with a music soundtrack or clip in real-time when landing the Ollie, Kickturn and other skateboard tricks. Stevie Chancellor researches deviant communities on the Internet, specifically creating computational methodologies that can find them and allow her to assess their well-being. Chancellor's current area of interest is pro-eating disorder communities, which believe eating disorders are an acceptable alternative lifestyle rather than a dangerous mental illness. Her work on Instagram shows that some users subvert the photo tag system and continue to share images and tips on eating disorders. She hopes her findings can help web moderators to design careful interventions or lead to better clinician-patient understanding. 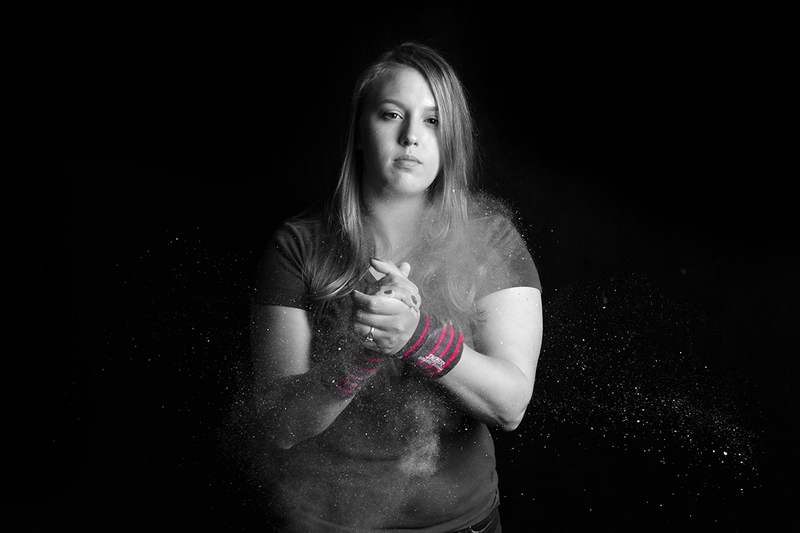 Chancellor’s own approach to wellness includes powerlifting, a competitive form of weightlifting. Aditi Dhar is designing a digital tool aimed at making a significant difference for breast cancer patients and improving their quality of life. 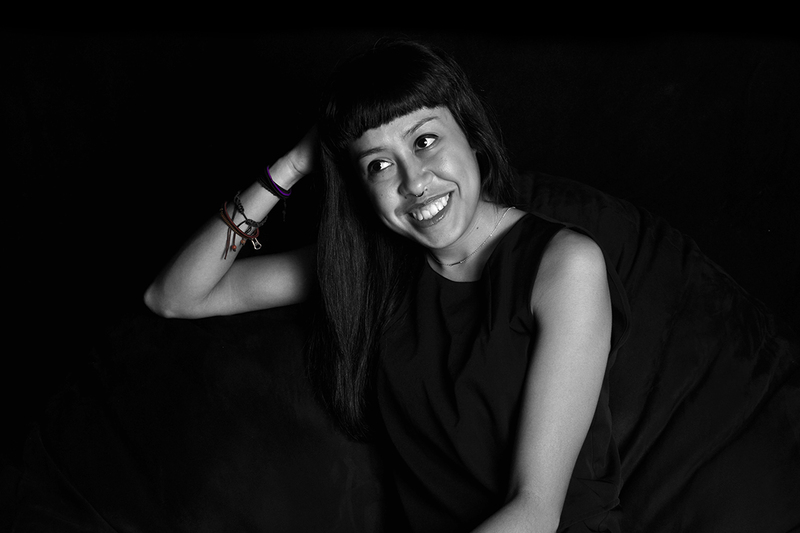 As the tool’s UX designer, she is focusing on how to help make treatment less overwhelming by building patients’ self-efficacy and empowering them with resources they need. Also, healthcare professionals who work with multiple cancer patients on a daily basis will be able to move disparate records to one digital platform and reduce the need to sort patient information, giving the healthcare providers more time with the patients. 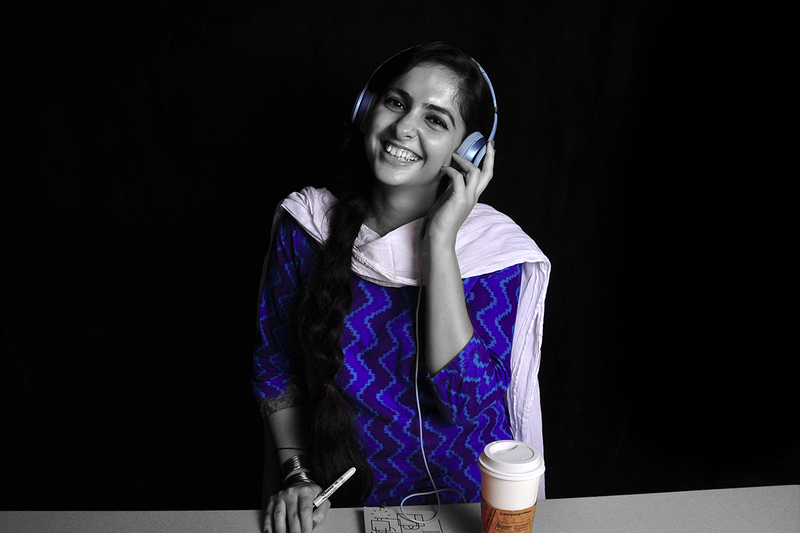 Dhar is pictured with her required research aids - coffee and music. As the former kids’ app editor for Apple’s China App Store, Yunnuo Cheng understands the responsibility of influencing large-scale tech use. She recently worked on a project focused on driver behavior change and how to determine if people might alter their perception of the cost of driving beyond fuel. Using car sensor data, work is underway to find out if shifts in driver habits can lead to larger social impact. 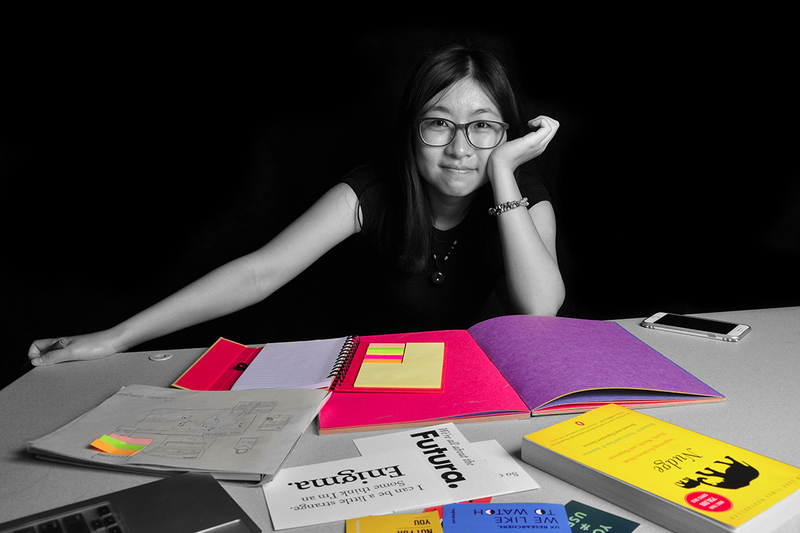 Cheng is interested in developing persuasive technologies for wiser transportation choices and applying these solutions across cultures. Michaelanne Dye studies how growing internet access in Cuba impacts sustainable development there. 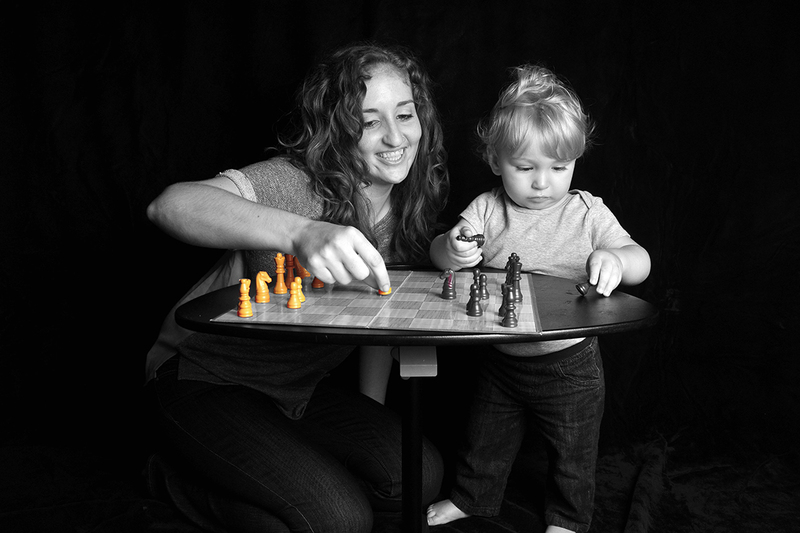 She has traveled to the island with her son Thomas (pictured), conducting interviews and exploring network access, researching online activities, and learning about the Internet’s impact on the culture. Findings suggest that access limitations and slow network speeds greatly restrict Cubans’ Internet use. Dye has built a crowdsourced information retrieval system (“Cuba Intercambio”) to help facilitate basic web access. She hopes that her work can help steer efforts by the likes of Facebook and Google, which are leading initiatives for internet access in countries with sparse network connections.